The Chiriyakhana Suraksha Mancha (CSM), in its FIR, accused zoo officials of feasting on deer meat. The CSM further alleged that Mariswamy and Gogoi were part of a nexus with poachers. Chief Justice of India (CJI) Ranjan Gogoi had a harrowing time when he visited the historic Kamakhya temple in Assam on October 17. His visit coincided with the visit of BJP president Amit Shah who was accompanied by Chief Minister Sarbananda Sonowal among others. The CJI had to wait for a long time as BJP workers crowded the temple premises making it difficult for him to offer prayers. Taking strong exception to these “lapses”, the state government suspended two officers of the state’s police and civil administration. The arrest of 31 illegal immigrants in Guwahati has led to startling revelation. Bangladeshi migrants, according to one of the 31 arrested, often use Guwahati as a transit point to sneak into and out of India. The 31 were arrested from the Guwahati railway station and they had reportedly reached the city via train from Bengaluru and were planning on heading to Tripura to sneak into Bangladesh from there. The arrested man reportedly told authorities that over one crore Bangladeshis have been living illegally in India. He added that infiltration back and forth is a continuous process. The arrests were made even as the state government is updating its National Register of Citizens which seeks to pinpoint illegal migrants who’ll then be sent back to their countries. 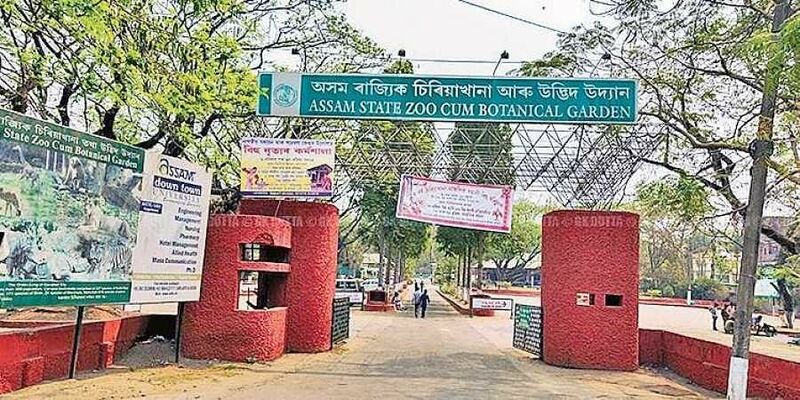 A Guwahati-based animal rights body, concerned over the welfare and protection of animals at the Assam State Zoo, also called Guwahati Zoo, has lodged an FIR with the police against zoo warden Tejas Mariswamy and veterinarian Bijoy Gogoi holding them responsible for the deaths of several deer in the zoo over the past few months. The Chiriyakhana Suraksha Mancha (CSM), in its FIR, accused zoo officials of feasting on deer meat. The CSM further alleged that Mariswamy and Gogoi were part of a nexus with poachers. A senior Guwahati-based journalist has joined the #MeToo Movement. Journalist Sabita Lahkar took to Facebook recently to reveal that she was sexually harassed by veteran journalist and writer Homen Borgohain. As more and more women in the country have started speaking up against sexual harassment, Lahkar wrote that she had been fighting for justice for the past 15 years. Borgohain was the editor of an Assamese daily where Lahkar worked as the chief sub editor. Earlier, she had moved various platforms such as National Human Rights Commission, Assam State Commission for Women, Assam Human Rights Commission, media organisations besides the police to get justice.